Techno, RS:X and Windsurf Board season about to kick into full gear. 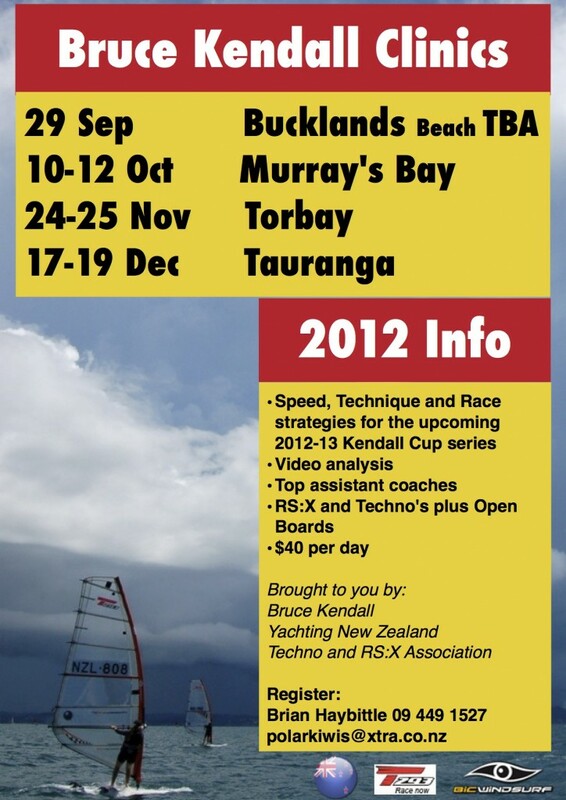 The 2012, Murrays Bay Sailing Club, ‘Stack Winter Champs’ 6-8 October will be the start of the 2012-13 Kendall Cup Racing Season. There will be seven regattas held throughout the NZ. These include the major dinghy regattas such as Sir Peter Blake, North Islands, South Islands (Inaugural trip), and Auckland Champs. There will be plenty of training on offer for all levels. Bruce Kendall, The Techno and RS:X Association and Yachting NZ are keen to see participation and the fun factor continue to prosper in NZ. 29 Sep Venue TBA Gybing Clinic. There are techno Fleets at the following clubs through out the country. Manly, Murrays Bay, Wakatere, Kohimarama, Tauranga and Naval Point. The newest fleet is 25 beginner sailors in Rotorua. 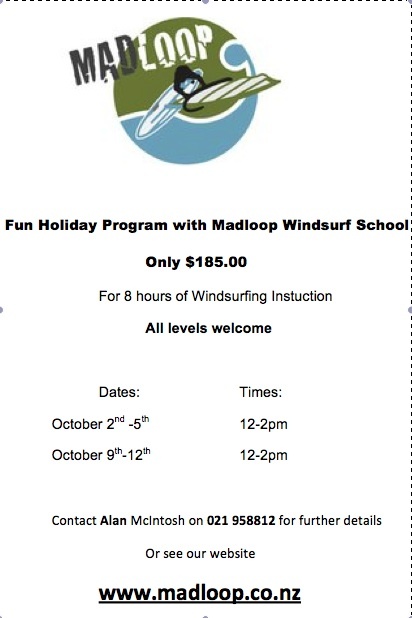 If you are in Auckland and want to learn to windsurf these holidays. Over winter three sailors attended the Worlds in Mdemblik. This spring 5 sailors are competing in the New Caledonia Techno Nationals. There are a few sailors who will be training hard to qualify NZ for the Youth Olympics in 2014. A disappointing ISAF decision hasn’t deterred Kiwi youths from their Techno’s and RS:X Boards. In just a few short years the Bic Techno T293 has become the board of choice for fun, learning and racing. It does so much well. In light airs it can sail up wind on it’s centreboard. When it is above 10-15 kts they can plane upwind. The board is bulletproof. Very robust. They have great resale value. If you would like to have a go at windsurfing ask any of the sailors. They would love to help you into the sport.